STEPHEN M. PRICE FOUNDATION NEWS "Serving Youth Through Aviation"
Have you ever dreamed of floating or drifting with the wind, or the felt passion to be free from the bonds of the earth? This is reality to many of the young Cadets that have passed through my hanger door. Since 1998 I have had the opportunity to provide ground and flight instruction for the Stephen M. Price Foundation (SMPF). 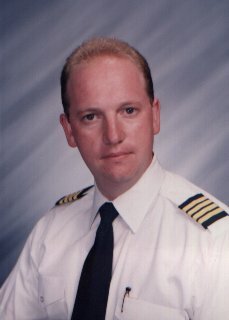 During that time I have had the pleasure to fly with over 100 Young Aviators. All of our Cadets are full of energy and excitement. Imagine the look in their eyes as we leave the grip of the paved runway, and their joy when taking the controls for the first time. After a few flight maneuvers and an air tour of the city we return back to the airport. After a brief post flight debriefing and signing of their flight log they look at and me and say, "When can we do that again?" Currently the Stephen M. Price Foundation has 54 cadets that are motivated and excited about flying. Our flight students are selected from other applicants based on interviews with the student and the students essay on “Why I want to be accepted into the Young Aviators Program”. The students began their training as Cadets 3rd Class. The new cadets are introduced to the cockpit environment in a full visual simulator before their first flight. This familiarizes the Cadet with the instruments and gauges for flight operations. After successfully passing a written examination and completing the simulator operations, cadets are promoted to flight status and the rank of Cadets 2nd Class. This promotion allows them to fly on a regular basis and an individual program is tailored to them. When a cadet makes their first solo flight, they are promoted to Cadets 1st Class and are expected to mentor lower class cadets as well as complete their training.